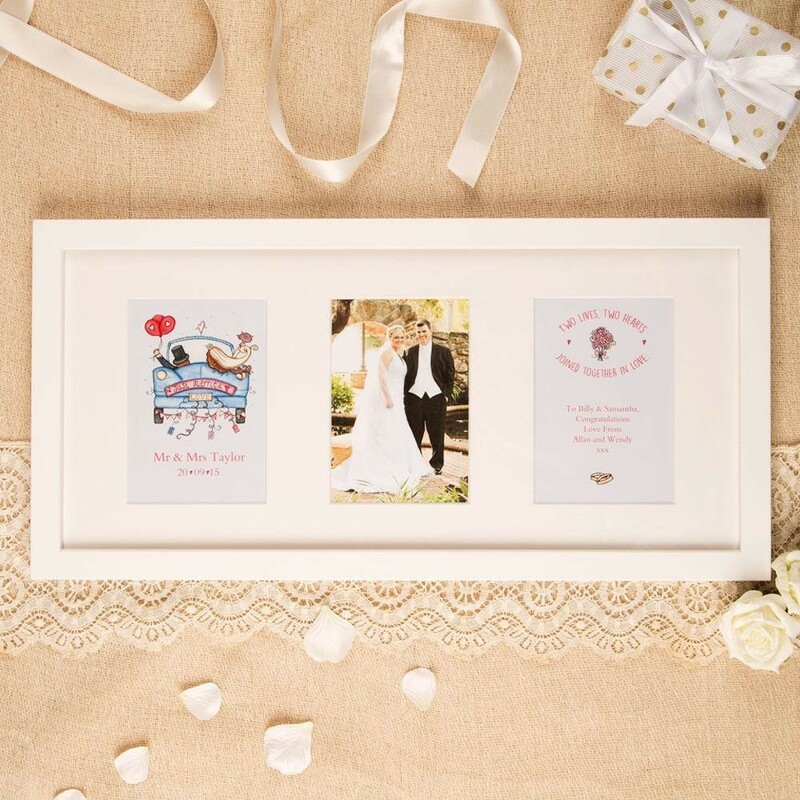 Featuring two prints on either side of the frame, and space for their wedding photo (4 x 6") in the middle, this gift is a beautiful memento of the bride and groom's big day. It features illustrations that were originally hand drawn and is personalised with the couple's details and a personal message from you. 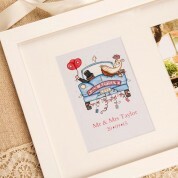 The first aperture has a fun illustration of the bride and groom setting off in their wedding car, and is personalised with their new name and the date of their wedding. Leaving space in the middle for their own photograph, the third aperture features illustrations of a bouquet and wedding rings. 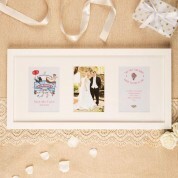 It has a love themed saying at the top, and space for your own personal message to the happy couple beneath it. Dimensions of frame: 53cm x 26.5cm x 2.3cm. Weight of frame: approx 760g. 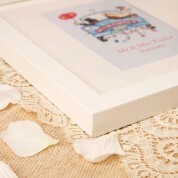 This frame can fit a portrait photograph (4 x 6") inside.